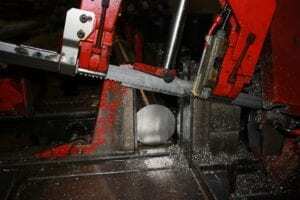 Industrial Saw Cutting Services - Centerless Grinding | Stainless Shapes, Inc. Stainless Shapes offers a wide variety of services. We are your full-service partner that maintains strict standards. We strive to develop a personal relationship to serve our customers better, and our sales team works to surpass all of your needs and expectations. Production saw cutting available. Band saw and precision circular cold saw cutting service guarantees that all of the pieces will meet the specifications you require. Miter saw cutting for large structurals is also available. Please consult your sales rep proper tolerance and packaging needed for your order. Your questions will be answered by our experienced technicians quickly. We provide the best and most varied centerless grinding services in the stainless steel and alloy industry. We can perform the following processes to ensure that your order is precise and maintains tight tolerance and specifications. Accuracy Stock – We have multiple grades available with J9 tolerance for Swiss screw machine requirements. Belt Polishing – We offer belt polishing upon requests, we also offer further levels of polishing from type #3 to type #8. We can perform: Architectural Finish, Dairy Finish, Buffed Finish, Smooth Buffed and Mirror. Turn Ground – Turn Ground and Polished (Our Specialty) our specialty for large diameter bars. We can offer quick turnaround at competitive prices! Polishing – We can offer material with centerless ground finishes from 6 micro on up. 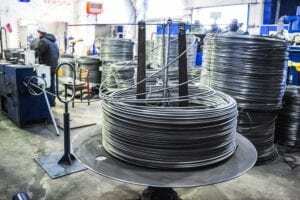 Stainless Lengths: Our Stock by default are 12 to 14 feet of random length, but we do offer up to 20 to 25 feet and higher. Millimeter Sizes – We can offer material in millimeter sizes. EPQ Finish – Electro Polishing Quality. Spring Temper – To meet special tensile and yield strengths. Not sure of what you need, call. 1 (800) 748-9811. Special lengths are available upon request. Some sizes and grades will have a minimum order of $500. If you have any further question about the process, please call us or reach us through our contact page.